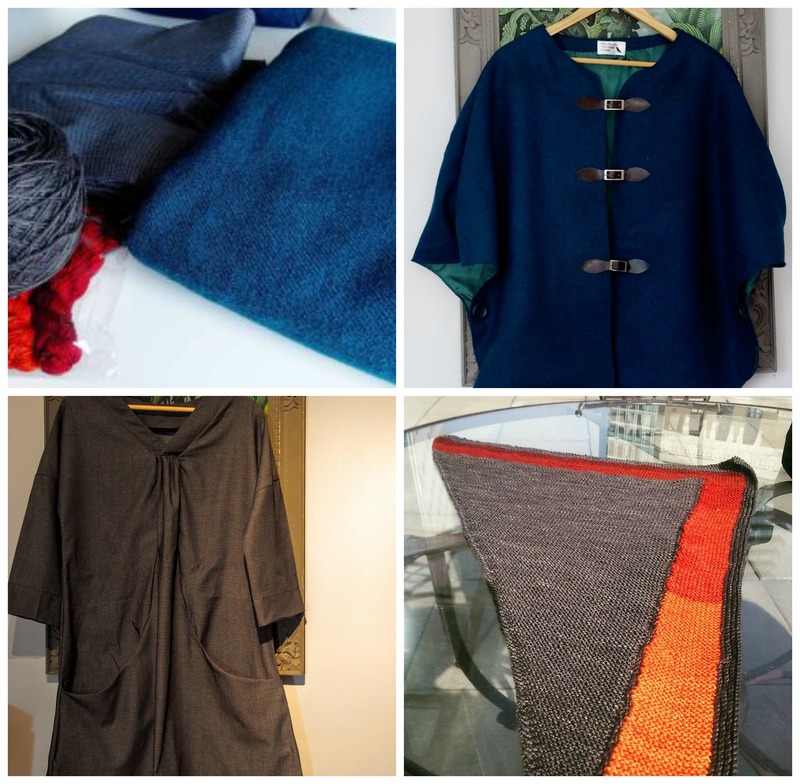 Post #2072: Finished items and new projects – from knitting to radio. For the record, the above items are a Woodland Stroll Cape, a Cappuccino Dress, and the Beacon Shawl. All three have now been worn – the first two on more than one occasion. Although we still have six more weeks of fall – this feels like the culmination of my autumn projects and that everything afterwards constitutes winter. This is probably true in that my current WIPs probably won’t be finished until winter officially starts in December! Since the dress, my sewing has been at a bit of a standstill, though my knitting continues apace. On the needles currently are a Paulie Sweater (I’m halfway done the second sleeve! ), a Christmas gift cowl, and the Cowichan-style vest that I blogged about a couple of posts ago. I’ve got a very busy travel schedule coming up and so I am not starting any new sewing projects – and really am not interested in anything that isn’t portable at this point. In other project-y news, after some recent realizations about radio-worthiness, Brian and I are embarking on a new project together – the Live from the Urban Crow podcast. While we still have to figure out how to make our recording devices work (we own two, and a mixing board, plus computers – but have never made a serious study of audio) – we’ve got some big plans for a bi-weekly show featuring a lot of what this blog covers: making, recipes, how-tos, interviews, throwing great parties – and so on. The difference will be that you get to hear Brian and I in conversation about these topics, which might be hilarious (or not). So far we’ve got a bunch of segment ideas plotted, so stay tuned and when we learn how to use our equipment I’ll let you know. It’s been awhile since we did a new project together (if you don’t count the fact that our whole life is a project together) – and while I have thought about doing a podcast before, I never thought of asking Brian if he would be interested in doing something like that with me. Turns out, he is very interested – and when we canvassed our friends for subject-matter yesterday, we realized that they are also excited by the idea. So I’m encouraged that this might actually happen, and soon. We’re headed to the cabin tomorrow – and I’m really looking forward to seeing (and sharing) all the work that’s been done this fall. ← Post #2071: I am no zombie expert, but I make a mean pickle….